The ancient Hawaiians left behind a record of their lives by carving shapes and figures in the ever present lava rock. These petroglyphs vary from region to region and are considered to be sacred sites by many. There are several protected petroglyph fields on the Big Island of Hawaii, and one of the most accessible is directly across from the Marriott Waikoloa hotel & Queen’s Marketplace and adjacent to the Kings Shopping Center. It’s not a long walk on a (somewhat uneven) pathway that has been created in the rock. Wear shoes for this short hike and you’ll be a happier person. About 1/4 of a mile down the path, you’ll begin to see a few petroglyphs here and there. Trying to make sense of them can be a topic of endless debate. As the hike continues, you’ll see more and more rock carvings. Since the Hawaiian language didn’t exist in written form until the 1820s, perhaps these petroglyphs were a record of life’s major events– births, deaths, wars and celebrations? 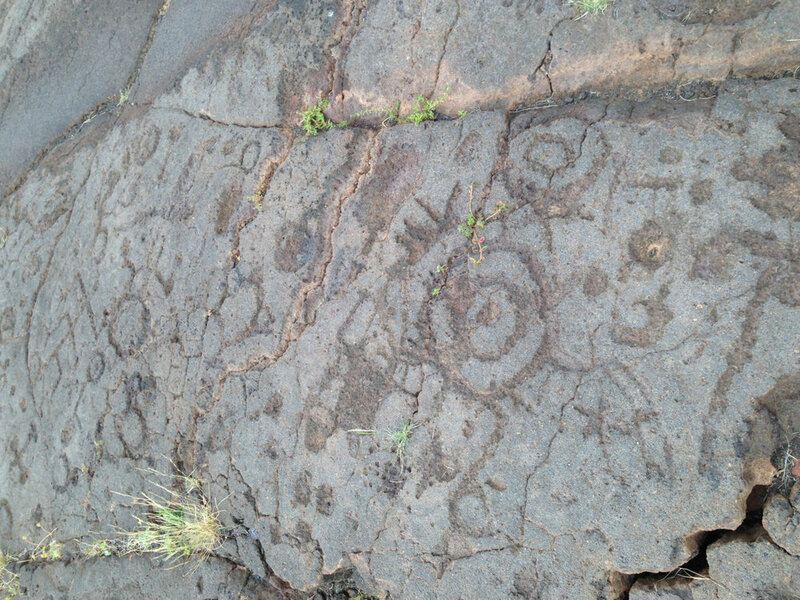 If you’re staying on the Big Island near Waikoloa, come check out the petroglyphs. You’ll find yourself strolling through Hawaiian history and the entire hike is less than a mile long!